Where The Outsiders was designed to dazzle, Mr. Misunderstood is built for the long haul: it settles into the soul, its pleasures immediate but also sustained. It's no big shock to hear him big-upping Wilco's Jeff Tweedy (and even nicking one of his tunes) on this album, where he cleverly juggles genres and often leans on his somber singer-songwriter side. 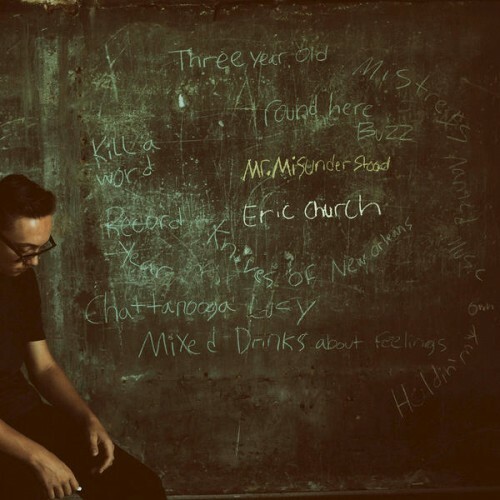 The ten songs that make up the surprise new Mr. Misunderstood are a step back from the arena-scaled grandeur Church has been trading in for the past several years. Many of the songs feel like scaled-down counterparts to some of the best tracks on The Outsiders. There are few suprises on an Eric Church album, but it includes excellent vocals, sophisticated musical choices, and strong storytelling chops. It’s a good thing these things haven’t changed. Purchasing Mr. Misunderstood from Amazon helps support Album of the Year. Or consider a donation?